While most other lubricants are more like syrup or vaseline, this lube is light yet maintains lubrication. 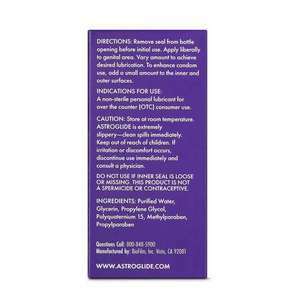 Astroglide is water based and water soluble and is Condom Compatible. 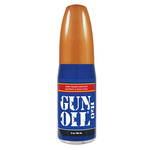 This petroleum free lubrication mimics the body's own lubricating fluids, and is non-staining and tasteless. This is the original Astroglide that made them famous because of its Slippery, long last effect and thin consistency.